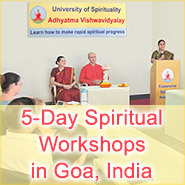 This unique method has been developed by Paratpar Guru, His Holiness Dr Athavale the inspiration of SSRF and the founder of the University of Spirituality. In His earlier professional life, His Holiness Dr Athavale was a Clinical Hypnotherapist with a strong research background in the field. He continued this research for 7 years while practising Clinical Hypnotherapy in the United Kingdom and achieved international recognition. He was the author of many journals and peer reviewed articles on the subject of Personality Development and Clinical Hypnotherapy. When he came to Spirituality later in His life with the guidance and blessings of His Guru Bhaktaraj Maharaj, He realised that it was a vast science and just as logical as any modern science with its own set of rules and principles. He discovered how the spiritual aspect of our life heavily influences our personality and how we respond to situations. Over the next 30 years joined by many seekers, His Holiness Dr Athavale pioneered ground breaking research in relation to the spiritual dimension and documented how it affects our lives and the course of human history. Today due to personality defects and higher ego of men and women, negative energies from the spiritual dimension provoke people to commit many terrible acts. As a result man lives in disharmony with nature and with other men. As a consequence, natural disasters, skirmishes, revolts, wars and acts of genocide have erupted around the world in greater intensity. Due to these same personality defects humanity in 2016 is on a precipice and we are staring into an abyss of an imminent Third World War. Only when the world will be ravaged by World War 3 and higher level natural disasters will the peoples of the world realise that there are devastating consequences to personality defects especially when camouflaged by cultural and religious norms. In the face of such disaster humanity will want to change for the better and will seek guidance from the spiritually evolved. The personality defect removal process created by His Holiness Dr Athavale will help pave the way for a mass transformation of society. History will note that with a strong research background in both understanding the human mind and Spirituality, His Holiness Dr Athavale held a unique position to guide humanity in personal development and spiritual growth helping society transition to the new era and beyond. As of 17 Sep 2015, under His guidance 746 seekers have attained higher spiritual levels of over 60% and 58 seekers have been guided to Sainthood. This is something that has never been achieved before in the spiritual history of the world. Along with this thousands of seekers testify that the Personality Defect Removal process and Ego Removal process (as part of their spiritual practice) has been a game changer. 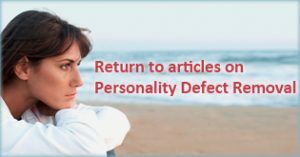 These two processes have rapidly helped them to overcome debilitating personality defects such as fear, anger and insecurity allowing them to experience transformational change in their character for the better. 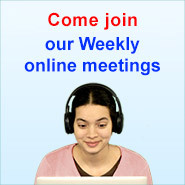 We invite one and all to view these tutorials so as to live a happier life and positively influence society.